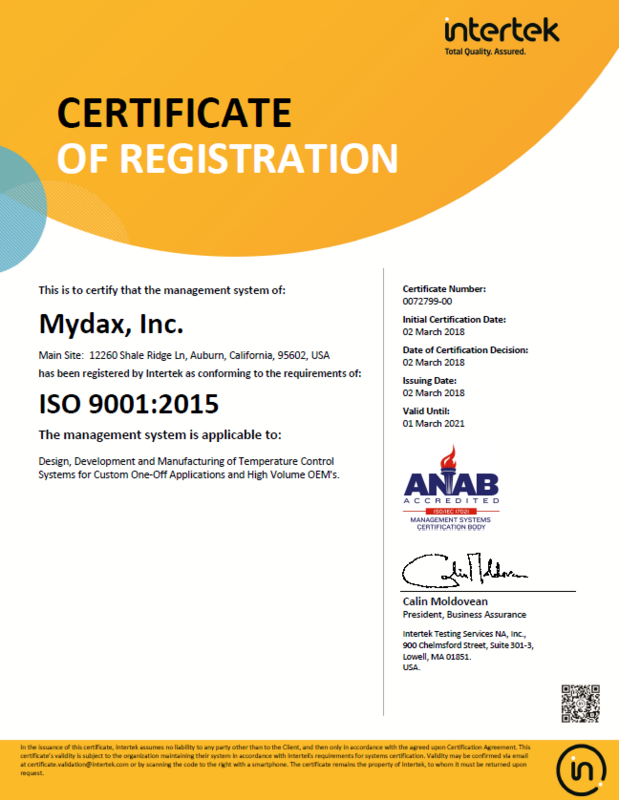 Mydax Heat Exchangers are used when facilities water is available AND it is at least 5°C colder than your desired heat transfer fluid coolant temperature. 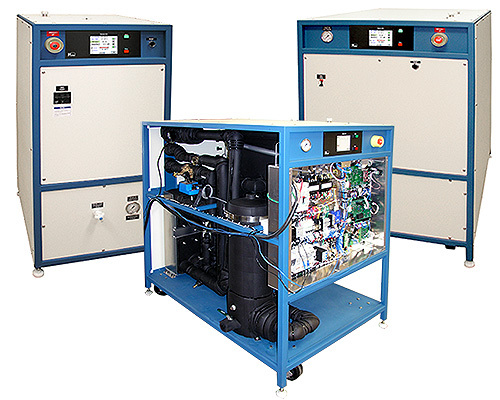 Mydax Liquid to Liquid Heat Exchangers provide a closed-loop circulation system using a fluid (like deionized DI water) while maintaining superior temperature stability. In the Chart below, click on any of the models to see a summary of the specifications. From there, you’ll be able to download the corresponding PDF datasheet to a new window. Please Note: These are example systems that can be customized to meet your specific needs.